This is a portrait of a cat called Merlin. I made the portrait to help celebrate Merlin’s 21th birthday! 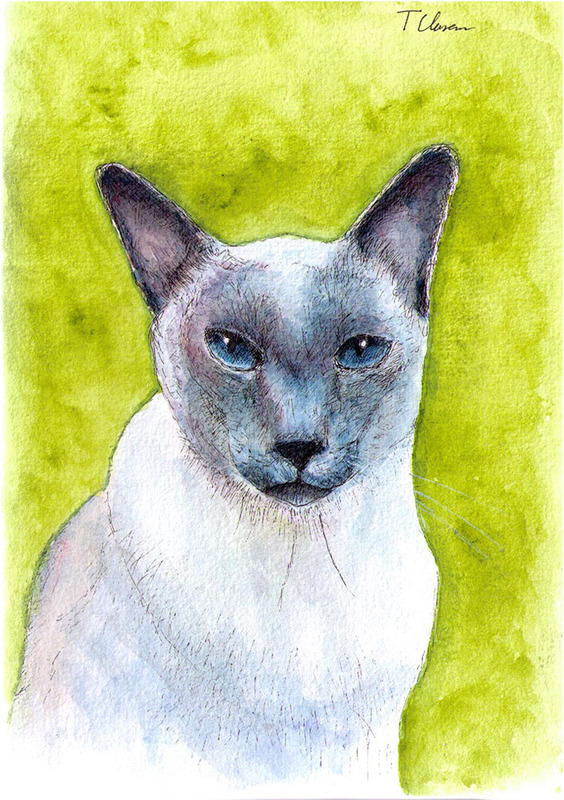 Merlin’s owner has published an interview with me, where she also announced a pet portrait giveaway, where you can win a custom portrait of your pet, painted by me. The above painting is painted on watercolor paper in A5 size. Tagged Ballpoint pen, Cat, Drawing, Featured, For sale, painting, WatercolorBookmark the permalink. Thank you very much! I thought I’d try something a little stronger than usual! These animals are just springing to life! Love the background and the eyes are really calling out to me too. Thanks a lot! I really liked how this one turned out too – and the strong colors was a bit of an experiment, but a succesfull one!